Back in April, VMware announced Horizon View 6.0 during a special End-User Computing webinar. The announcement heralded some major feature additions to the desktop virtualization suite including Remote Desktop Session Host support for application publishing and support for multi-datacenter environments with the Cloud Pod Architecture. This release has been eagerly awaited, and it finally was released to general availability on June 19th. 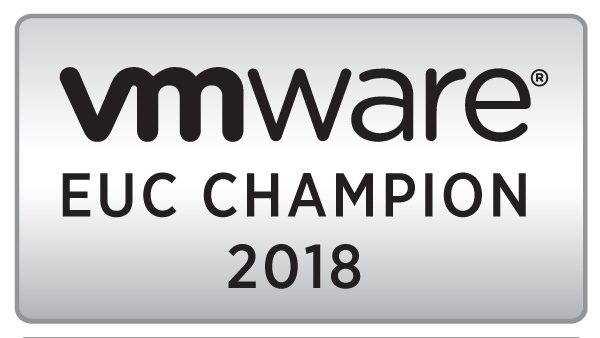 It is now available for download on VMware’s website. Like my last series on View 5.3, this series will cover the installation of the Horizon View components and related infrastructure. The topics will be similar to the last series, and I will be creating a landing page for all posts in this series. VMware promised a lot of changes and improvements with Horizon View 6, and they’ve delivered. There are a number of features that the community has been asking for, and a few less popular options have been removed from the product. Application Publishing – The expanded support for RDSH also allows for application publishing from RDSH servers. This feature was missing from previous versions of the Horizon Suite and frequently requested. Cloud Pod Architecture – Larger environments with multiple datacenters had to manage the View environment in each datacenter separately. Cloud Pod architecture allows administrators to manage up to 20,000 desktops in four pods in two datacenters as one environment. Feature Pack 1 is now fully integrated into the View Server installer and does not require a separate installer. Blast can now support up to 800 connections per Connection Server/Security Server combination. One of the biggest changes, though, is a feature that is not included in Horizon View 6. VMware has ended support for Local Mode desktops, and this feature was not included with this release. VMware will be utilizing Mirage to provide similar capabilities as local mode going forward. If you’re interested in learning more about the additions and changes to Horizon View 6, you can check out the Release Notes here. The next couple of posts in this series will review the architecture of Horizon View 6 and the components that are in the environment.